Well met, Neverwinter adventurers. Check your inventory bags right now. You may be holding something so valuable and rare and you didn’t even know it! 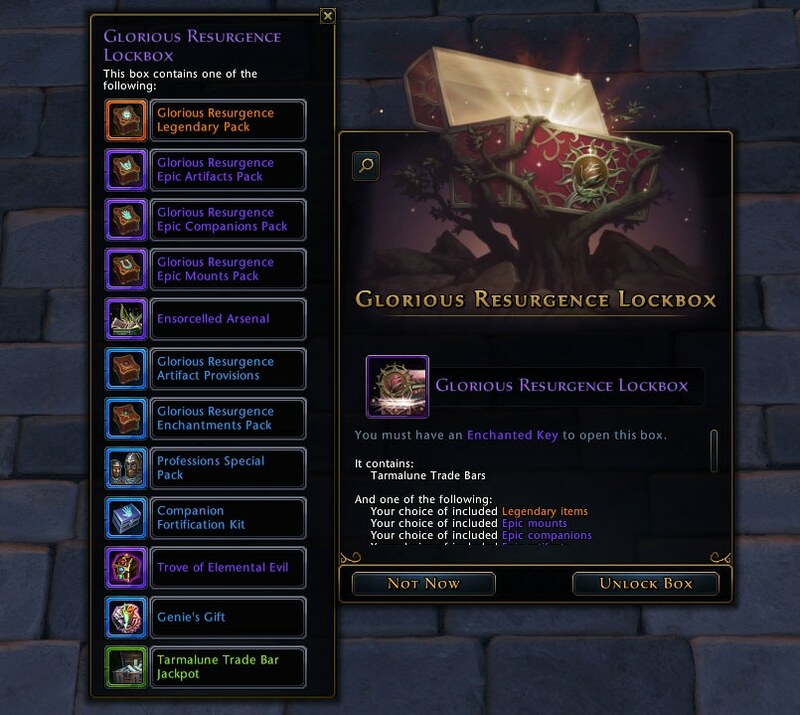 We’re talking about those epic Glorious Resurgence Lockboxes. Unlocking these treasured items may reward you with some of the most desired items in game! How do you open these lockboxes? You must possess Enchanted Keys from the Zen Market to open one. Where do you find Enchanted Keys? Press “Y” in game, select the “Items” tab, then select “Lockbox Keys.” And for a limited time, Enchanted Keys (single and 10-packs) are 15% off their regular price - lucky you! Enchanted Keys - 15% off! Don’t miss out on your chance at some of the best rewards in game, all inside a lockbox. Grab Enchanted Keys today and get lucky!